The PRDnationwide Annual National Conference and Principal's Forum recently took place in Brisbane over three days and included presentations from various agents, panel sessions and keynote addresses from two inspiring speakers. The key focus of the three days was on growth and building on last year’s great results, underpinned by assisting clients to Sell Smarter and Sooner! The Conference Event was headlined with the launch of the PRD Your Green Guide research report and the Green Housing Scorecard online tool. This was a culmination of a three-year research project by PRDnationwide in partnership with key industry organisations and government. This research project is backed by the Australia Research Council Linkage project funded by the Australian Federal Government and was created in collaboration with Queensland University of Technology (QUT), Karlsruhe Institute of Technology Germany, and other key industry partners (Bondor, Electric Pty Ltd, and Finlay Homes to name a few). Adding value to homes and decreasing the time on market continues to a hot topic in today’s property market, with the report launch covered by Channel 7 news and major media outlets; Domain and AFR. The Conference concluded on Saturday with a finale event, the glittering Gala Awards dinner. 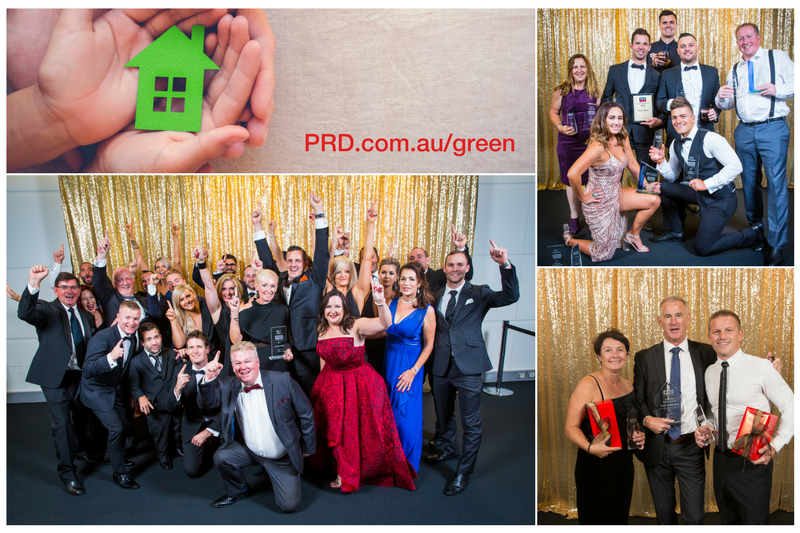 The Awards saw top agents and offices recognised in the prestigious formal dinner held at the Brisbane Convention and Exhibition Centre. The celebrations continued through the night marking a successful three days and acknowledging the individual and team accomplishments of the PRDnationwide group. PRDnationwide Chairman and Managing Director, Tony Brasier, commented on the successful event making reference to the fantastic people in the PRD network who are passionate about Real Estate and about delivering the best possible experience to their clients. Their commitment has seen some remarkable results this year, and it’s great to acknowledge them in such a high-profile arena.